Our Solar System Junior Duvet Cover and Pillowcase Set is the ideal bedding set for outer space enthusiasts. 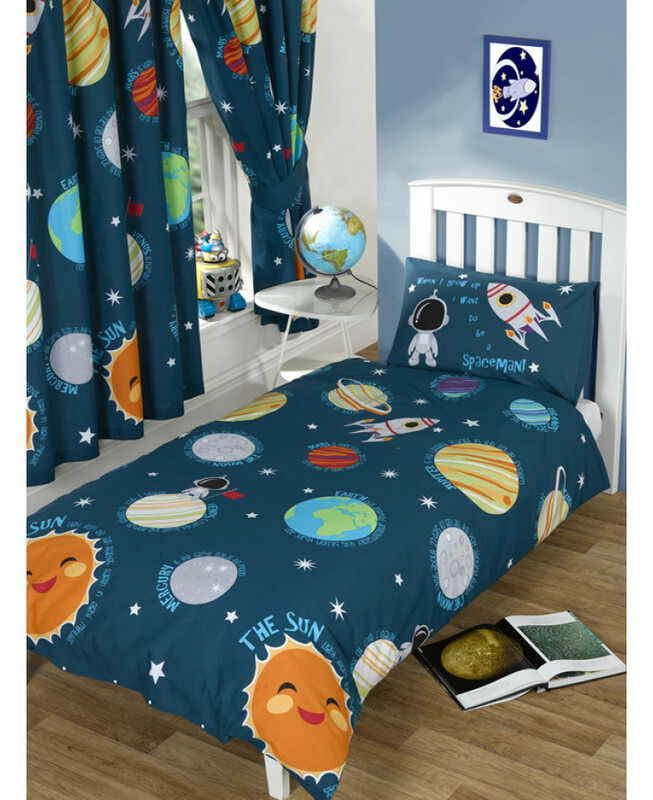 The design features all the planets in the solar system with a fun fact surrounding each planet. 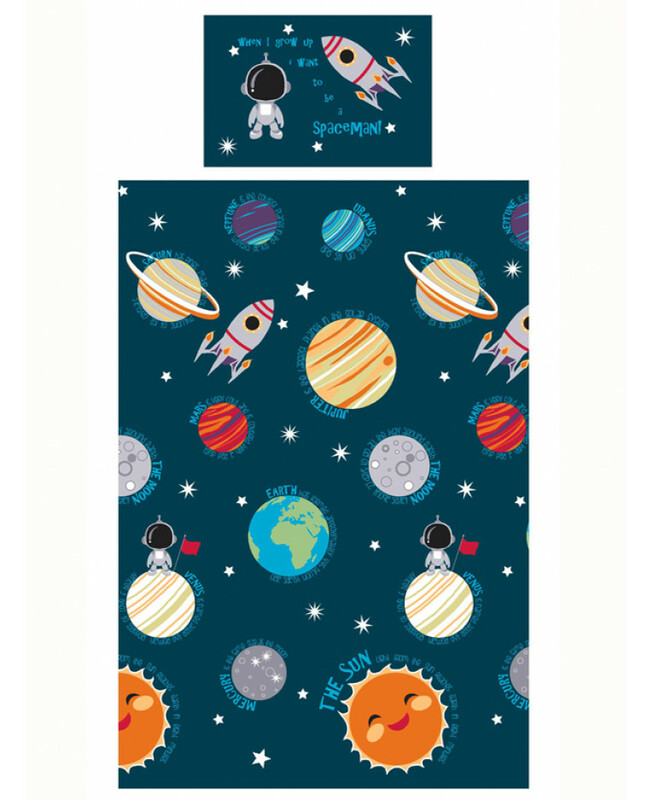 The design also has an astronaut and his rocket, all set upon a dark blue star patterned background. Made from a polycotton blend, this set is suitable for machine washing and tumble drying on a low setting.